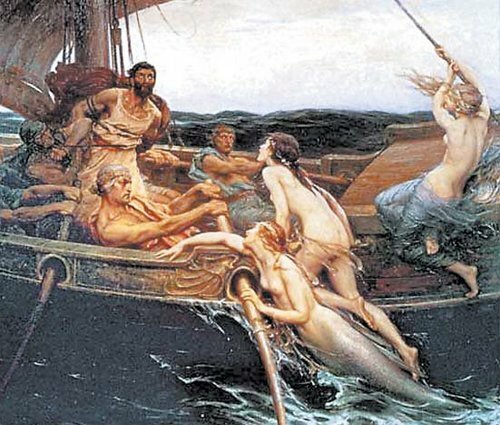 Ulises and the Sirens. . Wallpaper and background images in the Greek Mythology club. are you just getting most of these facts from the percy jackson books? you seem to know alot. thats what got me into greek mythology. when they sing its even more buetiful then aphrodite but it can kill you.